In the eastern edges of Europe during the 13th century in what is now known as Turkey, an art form emerged and eventually spread in popularity all across the Asian landscape to the far-reaching border of China. 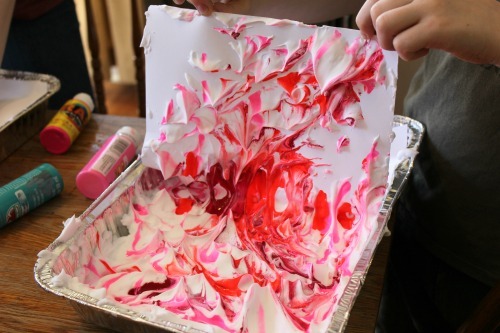 Artisans combined water, plant oils, and mineral pigments to create intricate marbling patterns that they transferred onto paper. 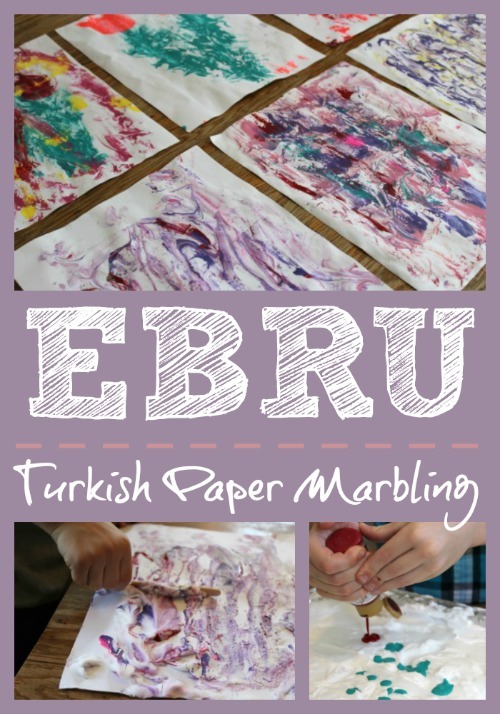 Last winter, when I introduced Ebru art during our homespun World Geography class, I didn't personally know where to get the necessary cattle gall or gum tragacanth to make an authentic insoluble water solution. I didn't own a single pigment, stylus needle, or horsehair brush. 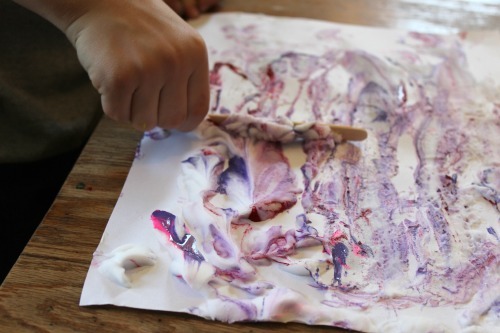 But, I wasn't going to let that stop me from recreating this ancient marbling technique with my kids. I just had to improvise with a few items from around the house. 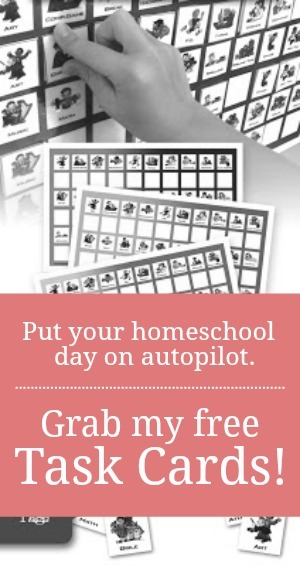 Here's my cheat sheet to help you do the same! 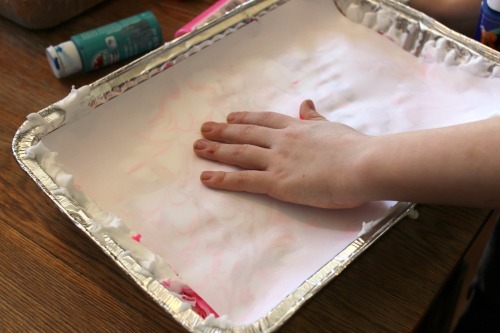 Spray a generous amount of shaving cream onto the bottom of the 9 x 13 baking pan. 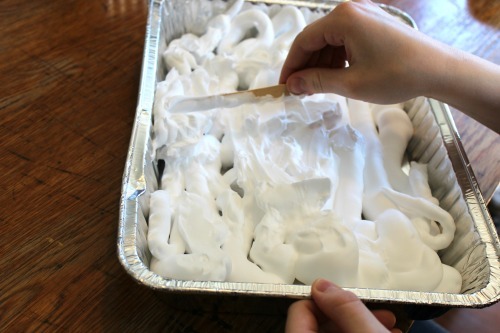 Use a popsicle stick to spread the shaving cream until it is level. 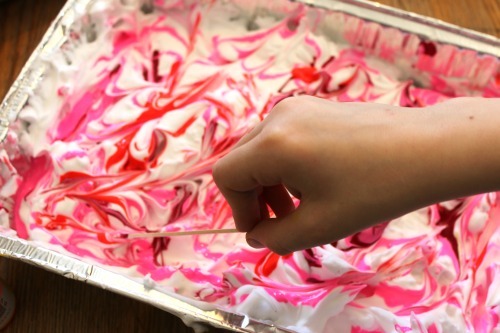 Use a clean popsicle stick to lightly swirl the dollops of paint on the surface of the shaving cream. Don't stir or mix the paint. 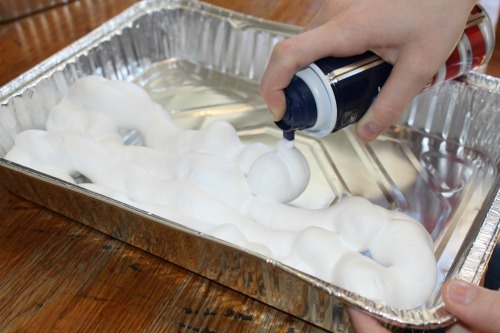 The paint should just rest on the top layer of the shaving cream. 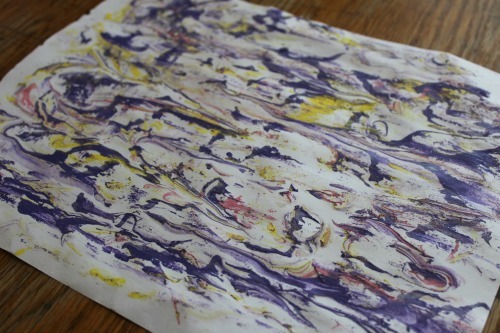 Press a piece of art paper over the marbled pattern. Use the palm of your hand to smooth the paper from edge to edge. Press gently to ensure the transfer of color. Lift the paper in one swift motion. 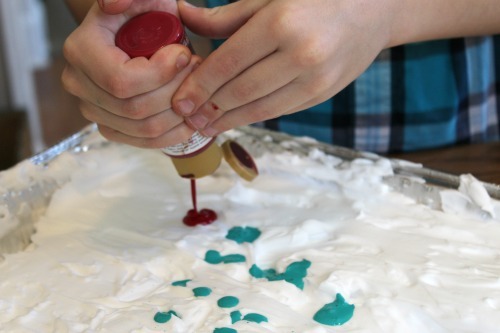 The shaving cream will have formed peaks on the paper. Set the print aside to begin the drying process. 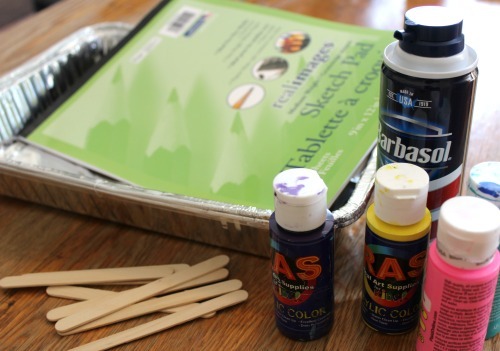 When the shaving cream is nearly dry, use a clean popsicle stick to scrape the excess paint and shaving cream off the page. Stroke from one side of the page all the way to the other side, following the natural pattern of the print. 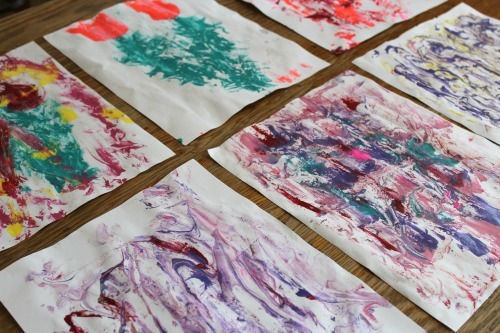 In the end, you'll not only end up with a beautifully marbled print but also a clean-smelling house as a result of all the shaving cream! Afferin! ...that's "well done" in Turkish. Apparently, you can combine cornstarch and water to make an insoluble mixture similar to that made with cattle gall. Here's a look at the entire process from start to finish.